In a campaign appearance at a community college in Reno, NV, Hillary Clinton delivered a searing barn-burner of a speech denouncing moldy prawn burrito Donald Trump’s racism and how his campaign has stoked the raging fire of the alt-right movement to dangerous effect. Here’s a particularly stirring bit, from the transcript of the full speech at Fusion., describing Trump’s continued public wooing of white supremacists and the alt-right. 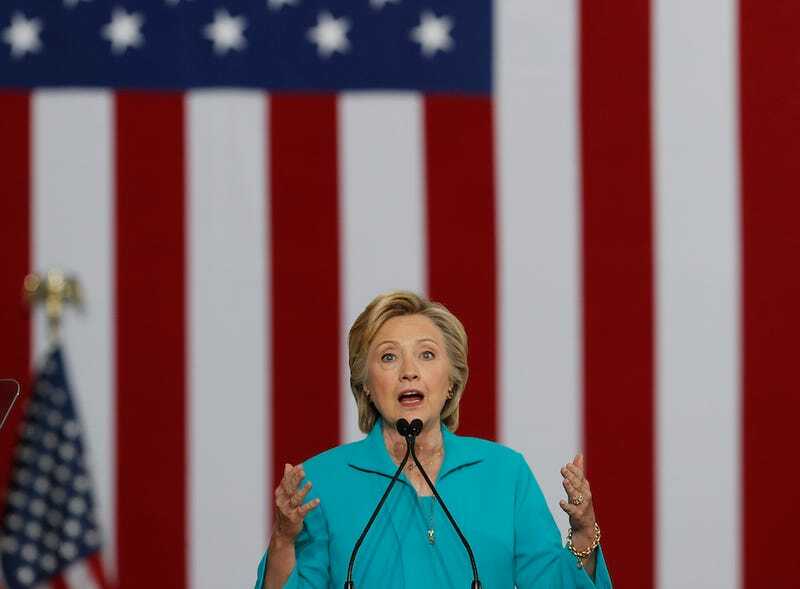 Clinton paints an ominous picture of what could be under a Trump presidency: a nation run by a megalomaniacal racist who traffics in hate and white nationalism while only looking out for himself.